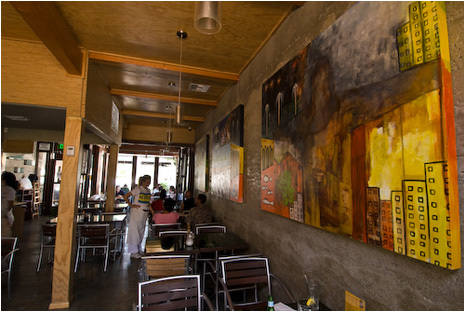 The cities of Tarzana and Reseda in California, became lately the mecca of restaurants and coffee shops. Among them is the Rolandin Bakery & Cafe that I highly recommend (located in an open shopping center at Lohmans plaza at the corner of Victory blvd. and Tampa blvd. in the city of Tarzana). 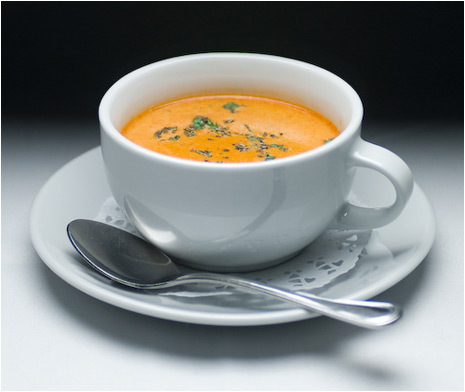 It has all the most important ingredients that make a great cafe/restaurant: contemporary decor and a clear appearance, excellent food and superb service. 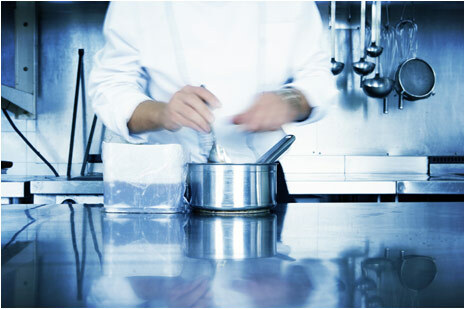 The chefs at this place have brought great selection of exquisite flavors from around the world. Every dish at Roladin Bakery & Cafe is hand made with care from only the most fresh and natural ingredients and of course the cakes pastries and all the sweet goods are just amazing. They also have sugar free cakes and cookies witch have an amazing flavors just the latest trend in the market. Every time I visit this place I am leaving speechless of the quality of every dish. This place is just out of the world and as I mention before it is worth while going there the next time you feel like escaping the turmoil of daily life. On the menu there is a big variety of food, they serve breakfast, lunch and dinner great egg dishes being served the entire day (like the mediterranean dish or build your own breakfast or tapas or wraps) You will fin also nice portions and very tasty classics salads and fresh fish, daily good sandwiches. Everything on the menu could be take away. Very good coffee milkshakes and delicious pizza. There is a new and a very unique restaurant, on the restaurant map in L.A. This is a one of a kind place with a great location. As we all know in order to have a great restaurant we need three things, ambience, very good food and exceptional service. If I had to grade this place on one/ten scale I will give it twelve. Not only the ambience is a master peace of art but having a real French Chef that knows what he is doing is pretty exceptional. If you do not make reservation in advance the chances to get in are very slim and on top of it on Wednesday nights and Saturday nights there is a Jazz bend live performance. Also a big advantage that I have seen in very few restaurants, is a wonderful wine and beer and hard liquer collection. They are using a new system for the bar called NAPA TECHNOLOGY MBX 8 WINE STATION . This technology keeps the open bottles fresh. For a long life, you put the open bottles to the machine, adjust the hose, and a gas keeps it fresh (this machine is also adjusting the temperature control of the wines). This is a high end technology that operates with a help of computer and the gas that comes in automatic and keeps it closed like a cork (it is like if the bottle was never opened). The selection of the wines is just unreal from the best wineries Price per glass ranges between $9-$20, and $30-$340 for bottles. 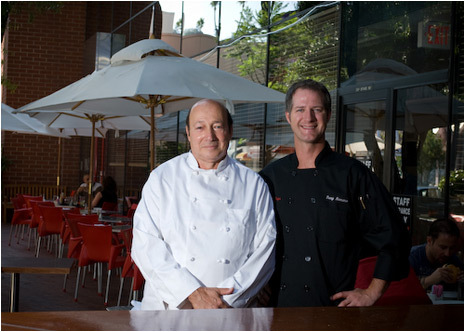 Take care of an impeccable service and operations of the entire restaurant there is an amazing manager Greg Woodbury. 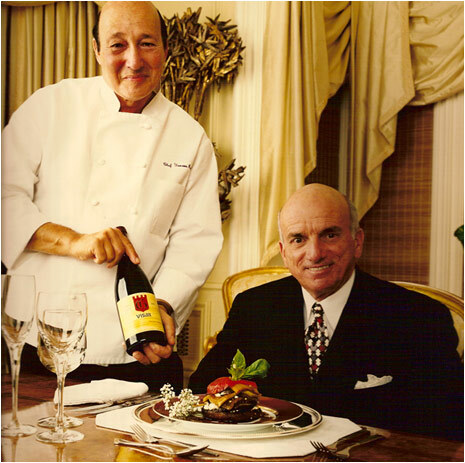 I have never met in all my years working as a chef , such a man with so much knowledge about wine and restaurant management. He is super professional and the clients just love him. With Joey Nader (manager) they are making a very good crew. I must mention one more person, that is the creator of this amazing place the owner Steve Hamile who is always greeting the customers. + All major credit cards are accepted. + Free parking behind the building. NOTE: It does not matter were u live, this place is always worth while the drive, highly recommended for an exceptional culinary experience. From left: celebrity chef Yoram Ravid, chef Marcel Vignion, owner Steve Hamlin manager Greg Woodbury. JULIAN is one of my favorite restaurants in Israel. Every time when I visit Israel I have a must visit spot, which is this amazing and beautiful place, and every time I do, I am surprised again how good it is. Chef and co owner Lior Hinits is a young and dynamic Chef who I met in Los Angeles while working for one of the top Chefs and owner of 30 restaurants the PATNA GROUP, he also studied cooking in one of the best cooking schools in L.A. so , with a lot of experience he returned back to his home country and together with his brother Itai who is co owener and manager, bought this most beautiful and one unique places. JULIAN is located on top of mountains overlooking a magnificent valley at one of the most historic buildings in the country which is the old customs house in the city of ROSH PINA. On the second floor, when you get in, the first thing you see is a suare bar with a fantastic collection of liquors, wines and beers. There are also tables around the bar, and there is a long and beautiful terrace that is overlooking the view, especially breathtaking at night. Combination of a sushi bar and steak house is an surprising mix but very delicious result. The Chef's speciality are sauces and they are undeniably amazing. If you happen to be in Israel and touring the north part of the country this is a must. 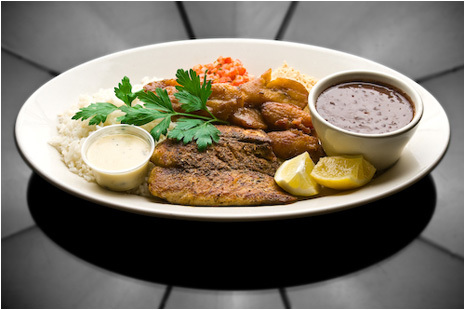 The best dishes in the house are sesame salmon the beef filet medallions and the breaded fried poultry breast. Prices are between $20 & $35. The sushi menu is amazing with its variety. I particularly liked the spicy tuna, the sea bream, the California rolls and the wonderful plate of the clasic tuna. The food is displayed beautifully and I am sure that you will get tempted by amazing specials desserts, excellent cocktails and great variety of draft beers. No valet parking yet but there is plenty of space around to park. The erea is full of small restaurants and when you are down in the streets, it feels like a festival. The latest addition to the Baby Blues BBQ restaurants chain, is the hit and hottest place in town Baby Blues BBQ on Santa Monica Blvd. in West Hollywood. Located in one of prime locations between Crescent Heights and Fairfax. This is a finger licking place and amazing by all means. I have been there few times already and tasted allmost everything. This place is the real deal for BBQ ribs and beef lovers. Wonderful ambience, decore and a great alcohol bar whit an amazing collection of alcohol and beers. To top it the service is really pleasant and professional. The 4 sliders plate is a hit: a combination of shrimp chicken and burger and pork, tender sandwiches being coocks for hours and serve with cole slow. The baby curve ribs and the Memphis ribs and flat bones ribs are delicious. Everything comes with a choice of sauces, triple X, regular BBQ sauce and hot sauce with ginger and garlic and also there is tabasco style sauce. Great FIXINS for 3.50 dollars and a wonderfull variety of desserts, sandwiches and assorted salads the platters run from 12,95 to 31,95 and are worth every penny. This is one of the best places I have eaten at lately. WEST HOLLYWOOD CALIF 90046 TEL 323 656 1277. About 15 minutes drive from the center of Tel Aviv to the north of Israel in between orange grove and agricultural fields resides one of the most unique and amazing places in Israel. Chef restauranteur Chaim Shastel built one of the most beautiful restaurants and event halls in Israel in the middle of nature between trees and flowers bushes is this unbelievable place with an amazing ambience during the day and especially at night unique dishes and amazing recipes . There is no other like this place in the entire Israel and definitely it is worth to visit. Everything is fresh and organic grown in their garden and the groves around, they have wonderful cheeses and goat products and fresh bread baked daily everything grows on the farm around. Speciality plates made from seasonal fruits and vegetables are excellent. I loved the different eggplant's dishes I ate there few times during my last visit to Israel and each time I was surprised again how big of a real food artist mr Shastel is. The mornings at Makom Balev start with staff picking up the fruits and vegetables from the organic farm every day and making fresh pastries and bread that is coming out of the hot Taboon (that special old oven) the coffee beans are being grinded fresh and brew immediately. There are hundreds of birds that live in the trees and the nature around and this is really a very pictorial atmosphere. Corporate people are having breakfast meetings there too. There is a special gallery that can host up to 90 people for special events (inside and outside), they also have an amazing catering department that serves gourmet dishes in style and sushi bars too all fresh and made in the place. This is all due to an amazing person dreams that in 1995 started this place and during the years planted trees and bushes and started to grow his own fresh herbs, and all that is needed for this place. Highly recommended if you visit Israel. So I am not only a chef but I also love great food and there is not to many places you can lick your figers too when you eat great food. 15 years after their first restaurant open, the food at Bossa Nova restaurants chain is still amazing; still very tasting and great. 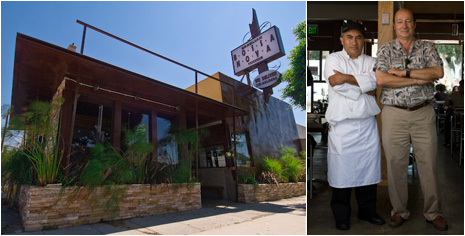 There are now 4 Bossa Nova restaurants and the 5th is on its way. Each restaurant is unique by there architecture and ambiance. My love affair with this wonderful food started when the flag ship on Robertson Blvd in the city of West Hollywood opened. I have met the two owners Aurelio and Francisco right when they have finished to building there wooden tables. Than I brought all my friends and we became a first group of supporters. To thank me they have created dessert plate on my name YORAM SPECIAL which became a hit on the menu. To this day we are still really excited each time we eat there. From the beginning William Paz is a part of the adventure and today he is the executive chef and together with chef owner Francisco he is one responsible of the menu. The ingredients are always fresh and food is cooked home made style. Big portion plates, autentic home made with the same consistency for all those years. Each time I eat there I sill get surprised. The menu is huge and I only choose to mention a few items. Also in all Bossa Nova restaurant they have a pizza ovens, and the recipes are from Brazil. Robertson Blvd. location is the only one that does not have a pizza oven. On the Menu: Excelent choice of pastas with great variety of sauces. I love the Edgar Salad which is made of shrimps, lettuce, goat cheese and sun dried tomatoes, with a home made dressing. 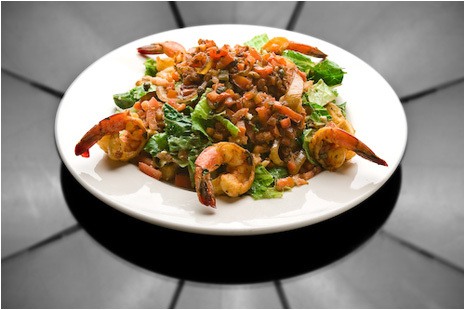 Most salads come with a choice of chicken or shrimps. Great lamb meet, stakes and fish, and a good selection of beer and wines. Amazing appetizers and desserts. On the wine list I picked the white Zinfandel and the Chardonnay Pino Noir by Close du bois, the collection of Merlots is very good too. Australian Ale brazilian beer and soft drinks are available too. You can get wines by the glass - average cost is between 7 to 12 dollars and the bottles are between 6 and 45 dollars. 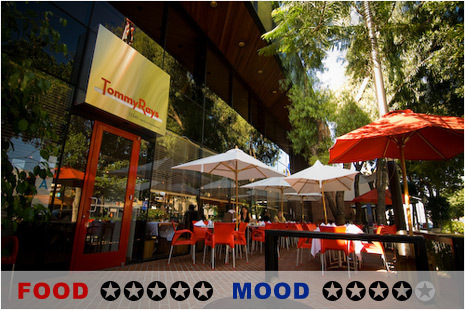 The latest jewel in the restaurants crown of Los Angeles is the TOMMY RAY'S restaurant, in Studio City, located on Ventura Blvd. with an amazing and beautiful patio. This most beautiful place with an amazing architectural design and a wonderful atmosphere is one of a kind. Excellent location and a great chef - you can not have a better combination. It is very hard for a chef to write about another chef but executive chef TONY ROMANO is something else: one of a kind very creative chefs that checks every table himself if the customers are happy with his food. Impeccable service, great staff, and a great wine collection on top of an amazing menu. The selected wine collection is from Cass Weineries south of the border collection and also wines from Chili and Argentine. The Hess Select Wines includes chardonnay and mountain cuvee The Bridalwood Wines includes syrah louis martini and Cabernet Sauvignon also a great selection of beers. A glass of wine is about $8-15. 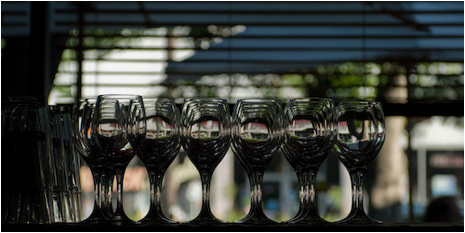 Once a month the restaurant organizes Wine Makers Dinner where food is paired with wine tasting, a real delight. On saturdays and sundays there is brunch and when weather is the patio is just great to seat. Manger Austin Corbet and Mr. Tommy Levasseur who is part owner are giving a great service to the guests. The Menu again is very rich and I tasted almost everything on the Menu and each dish is a world for itself. I really liked the lamb dish and the fish tacos and there is a good variety of fish. 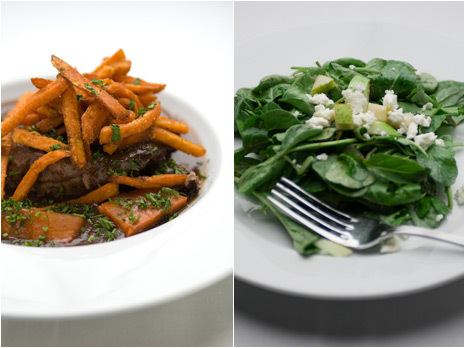 Great selection of salads and hors devuars every afternoon for the early bird hour. 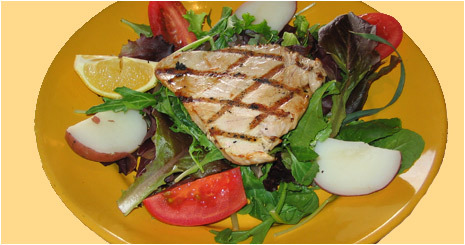 Starters are about $12, salads from $7 to $17, sandwiches $10 to $15 and main courses from $15 to $20. There is Valet Parking for $3.5 and also a public parking half a block east of the restaurant (or public parking on the street). Most of the Major Credit Cards are excepted. I predict that this restaurant is going to be very soon the hottest place in town it has anything one can wish. Catering also available. 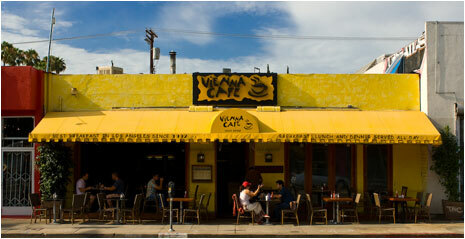 The Vienna Cafe is located in the middle and hart of the most famous avenue in Los Angeles, Melrose ave. 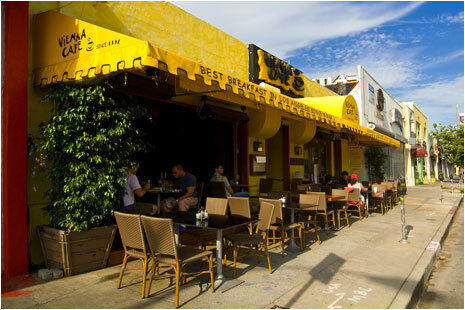 It has a side walk sitting and a beautiful patio and was voted the best breakfast and brunch place in L.A. for the last 14 yeas. The cafe has also a wonderful bakery where you can get assorted fresh basket of home made breads and rolls. On saturdays and sundays they have an amazing choices of breakfasts and people are standing in line to be seated and have a taste of the fresh breads and pastries and rolls from tthe Melrose Baking Company which is part of the caffe. My favorite breakfast dish is The Olive Nest which consist of poached eggs topped with tomatoes kalamata olives zuccini eggplants and bazil all sautéed fresh in olive oil and served on a fresh bread of your choice from the bakery which in my opinion as a chef is a great advantage to this place. I also like their very famous dish The Vienna Benedict which consists of poached eggs black forest ham on a fresh home baked pretzel\bread served with the vienna special hash potatoes. The place has other very good dishes for breakfast such as fresh fruit bowl, fresh croissants filled with anything you crave for, also a big variety of salads and home made hamburgers served on a variety of tasty buns, fish of the day and very good desserts. You can get at the caffe blended drinks assorted ice teas and sodas . No alcohol at the moment. They deliver food and have a great catering department. I must mention general manager Camryn and the stuff. They are all doing and anazing job. Very good atmospheir all together a great place to be and have some delicious food. + Vienna Cafe, 7356 Melrose ave. 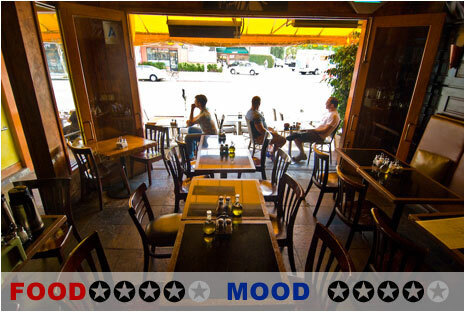 The Hollywood Swingers Restaurant is located in the heart of Hollywood right on Beverly Blvd. where some of the most famous and beautiful galeries and other famous restaurants are. Located with a Californian Style PATIO which is very nice very hip and Chic place. This place is open early in the morning at 6:30 am, and at lunch time you can meet the young and beautiful Hollywood stars. The menu is classy all American style. Their hamburgers are one of best in town and were introduced on the tv show YOUR LA . Great milk shakes, wine and beer, also serving all day SOJU DRINKS open all 7 days of the week from 6:30 am till 4 am on suturdays and sundays they have a weekend brunch. You have to wait in line to get in but it is worth it. My favorite dishes are the grilled chicken sandwich, which consists of grilled chicken breast, bacon, cheese and avocado, served in a flafy bun and salad with your choice of dressing and french fries. I also love the tuna salad. Big choice of omlets an other breakfast is served all day long. Excelent salads and fruit salads and of course a great kid's menu, and as a chef i have to compliment the freshness of everything that is served. Everything is made on the spot to order. You will not be able to escape excellent desserts and cup cakes. Very good atmospheir and the best JUKE BOX IN TOWN. Chef Alfredo Rodrigez and the manager Todd Barnes are putting their personal touch on the food and service, and the result is superb food and service. I have to mention also Stacy Cobb a vice president of comitted inc. who is over looking everything. In short a great a great place. Prices are reasonable nothing over 12 to 14 dollars. While waiting the book "Celebrity Dish" to be published we have decided to present you our favorite Celebrity Chef Yoram Ravid; born raised and trained as a chef in Israel grew up in a mixture of culinary environment that include Mediterranean, Eastern European Middle Eastern, and Jewish cuisines. Specializing in those cultures and their culinary specialties, chef Ravid cooks a variety of recipes from these countries and a fusion of the same. For the past few years chef Yoram Ravid is the private chef and special event chef for Mr. Dennis Tito, the business man who was the first civilian pioneer astronaut to fly with the Russian to space, and offers his expertise and passion to restaurants in the Los Angeles area, where he now resides.